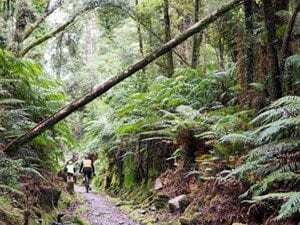 The team at PureTrails New Zealand are proud to live in such a beautiful part of the world. We really value our wide open and sparsely populated spaces, fresh air and clean water. We are lucky enough to live in an environment that is relatively free of rubbish and pollution, and we would like to keep it that way. It is also a great privilege of ours to be able to share this environment with our visitors from both NZ and overseas. Our aim in doing so is to minimise our environmental footprint as much as we possibly can, so that we can play our part in preserving and enhancing our environment for our tamariki (children), mokopuna (grandchildren), and all future generations. PureTrails operates 3 commercial passenger vehicle buses which all tow our purpose built cycle trailers. We monitor the diesel used on every tour and compare fuel efficiency between the vehicles. Our newest vehicle, a 2016 model Mercedes Benz Sprinter bus, is an example of just how much more efficient newer, modern vehicles are compared to the older buses we first started operating in 2003. Each season we run a competition between our guides to see who can be the most fuel efficient driver for each vehicle which generates some interesting results! In the 2017/2018 touring season our vehicles covered 71,349kms and used 10,636 litres of diesel, giving an overall figure of 6.7km per litre of diesel, or 14.9 litres per 100km travelled. John K, Kevin & Hilary were our most fuel efficient drivers in 2017/2018! We monitor the power used at our office/depot facility each month via our power bill. Computers, printers, our coffee machine(!) and other appliances are only turned on when required. We recently changed our power supply to a company called ‘Ecotricity’. Ecotricity is New Zealand’s only 100% CarboNZero certified energy provider. 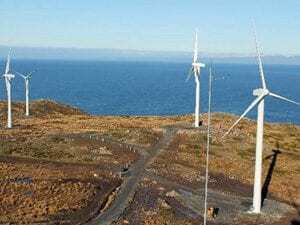 They source their electricity from sustainable and certified renewable electricity generation including carboNZero Certified hydro and wind from the Monowai and shortly Roaring Meg hydro dams and Flat Hill Wind Farm. You can log onto your account and see how many kgs of carbon emissions you have avoided each month (in July 2018 PureTrails avoided 81kgs of carbon emissions). By supporting Ecotricity we are supporting the development of new renewable generation projects. Water is a very precious resource in Canterbury and much of the eastern side of the South Island. Christchurch receives around 650mm of rain annually. Our drinking water is pumped from gravel aquifer’s tracking underneath the Canterbury Plains from the Southern Alps. With global warming and increasingly common El Nino weather patterns, droughts are becoming more common. In September 2018 we installed a 2000 litre water tank to harvest rainwater from our warehouse roof that we use to wash our bikes, thereby reducing our reliance on council water sources. With around 550 bikes hired each season, we have a lot of bikes to wash. Each bike gets thoroughly cleaned and serviced between every hire. Visitors to our Christchurch depot are often intrigued by our innovative ‘bike wash’ system. 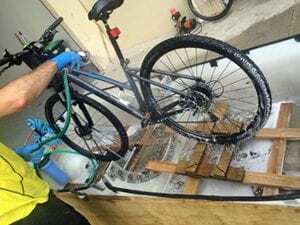 Bikes are washed in a big purpose built bath tub with the water, once it reaches a certain level, being recycled through a filter and pumped back into the hose to get reused, thereby minimising water use. Once the washing is complete the water is fed back through the filter to remove contaminants and into the waste water system. The remaining wet dirt is left to settle in the bath tub, dry out and evaporate in the sun, before being swept up and discarded into the general waste bin. The days of having promotional material printed on glossy paper in large-scale print runs are long gone. All PureTrails brochures and booking confirmation paperwork are provided in electronic format unless otherwise requested. Our operation requires high levels of organising of logistics so we do generate lots of checklists and forms (for health & safety auditing purposes also) that are printed. We only use 100% recycled paper and everything is printed double-sided or in booklet format to minimise paper use, before being discarded into recycling waste. Running a bicycle fleet of 70 odd bikes that get replaced every second year means we tend to accumulate lots of spare parts. Every so often we do a stock take and box up everything we don’t need and donate it all to a local community group. In August 2017 we gathered up our latest collection featuring a plethora of bike frames, wheels, tyres, handlebars, saddles, brake leads, reflectors and more and delivered it to RAD Bikes, aka ‘Recycle a Dunger’. 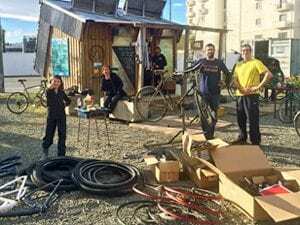 RAD is a central Christchurch based not-for-profit community bike shed run by volunteers. It is a workshop space where anyone can build or repair a bicycle for themselves and/or help restore bikes to give away. PureTrails were thrilled to been able to find a use for our random bike bits & pieces and we hope the parts can be recycled to bring someone else some joy on two wheels. 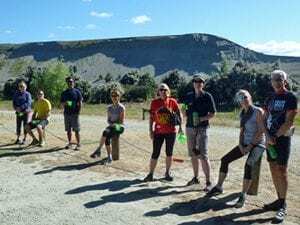 In 2017 PureTrails established a relationship with the Ohau Conservation Trust. 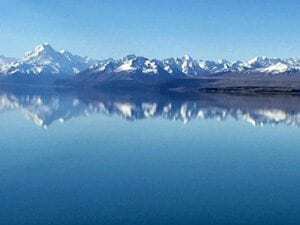 The Ohau Conservation Trust was established in 2004 by people living in the Lake Ohau Basin in Mackenzie Country, with an aim to protect its special natural values. Significant work to control wilding trees and other weeds is undertaken by the Trust, as well as replanting natives and undertaking possum trapping projects to protect the native mistletoe found in the beech trees. PureTrails has committed to donating $10 for every person on our tours each year to help the trust carry out it’s activities. Since 2017 this has amounted to over $12,000. As a company that we feel it is important to develop long term relationships with conservation groups so we can contribute some of what we earn from visitors, back into the places we visit on our tours. 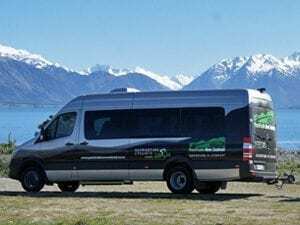 Perhaps one of the most rewarding things about being a tour operator over the years has been the ability to visit and spend money in some of the smaller provinces of the South Island, many of whom have not traditionally benefited from the tourism spend. 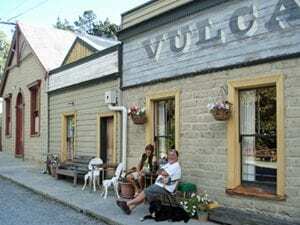 On many of our tours we stay in very small communities (with populations of 50 people or less) where the accommodation we stay at is owned by locals, and all the places we eat or obtain picnic lunches etc from are owned by small local businesses. In NZ one of the biggest economic success stories for the provinces has been the Otago Central Rail Trail which has moved the local economy from a subsistence based farming economy to a world class tourism destination in under 20 years. It is incredibly rewarding to bring our guest to the provinces and see first hand the economic difference that it makes to the local communities. Currently we use plastic and melamine reusable coffee cups for our morning and afternoon teas served on the trail. This coming season we hope to encourage our customers to bring their own reusable coffee cup with them on the tour so that it can be used not only for our trail side coffee stops, but all the latte stops in cafes along the way as well rather than using non-recyclable coffee cups which are a growing environmental problem. Our next project is to investigate the possibility of offsetting the carbon emissions generated by the volume of diesel we use. We hope this will be feasible and that we can get involved with a local project in order to make this happen.